Beth H. Mitchell, a partner in the Real Estate and Finance Department and co-chair of the firm's Commercial Finance practice group, served as a moderator at the American College of Mortgage Attorneys’ (ACMA) 41st Annual Meeting on September 19. 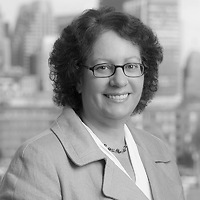 Beth moderated the “Ground Lease Financing: Landlord and Lender Perspectives” panel. Panelists reviewed the unique issues facing mortgage lenders that finance the tenant’s interest under a ground lease. Panelists discussed the key provisions in the ground lease and loan documents, including the typical mortgagee protections and the risks to the lender if either the ground landlord or the ground tenant files for bankruptcy protection.